On 10 September 2014 His Beatitude Mar Gewargis Sliwa, Metropolitan of Iraq and Russia called on His Excellency Dr Fuad Massum, the newly appointed President of the Republic of Iraq. Opening the meeting, the President discussed the situation affecting displaced peoples in the Nineveh Governorate and other areas controlled by ISIS describing what has occurred in the areas a disaster. His Excellency stressed that his entire efforts are being directed to protect Christians, Yazidis, Sabaeans and other minority groups and to facilitate their return to their homes. His Beatitude thanked the President for his role in aiding the suffering Christian community during the present difficult circumstances. During the colloquium, His Beatitude conveyed to His Excellency the felicitations and best wishes of His Holiness Mar Dinkha IV, Catholicos-Patriarch of the Assyrian Church of the East on the occasion of His Excellency’s ascension to the high presidential office. Also presented to His Excellency during the meeting was a personal message of congratulations from His Holiness the Catholicos-Patriarch. Dr. William Ishaya Warda, newly appointed Adviser in the Permanent Mission of the Republic of Iraq to the United Nations in New York has called upon His Beatitude Mar Gewargis Sliwa, Metropolitan of Iraq, Russia and Jordan. Faithful from across Baghdad’s parishes have attended a lecture on the life of the Blessed Virgin Mary, Mother of Christ, presented by Loay Kamail. Faithful have gathered at St Zaia Church, Baghdad, to partake in the funeral service of Reverend Oraham Dinkha, the beloved parish priest who endured Baghdad’s rough times throughout the last decade. Various parishes throughout Baghdad have gathered together for the offering of the Holy Eucharist in a show of unity and dedication to the Lord Jesus Christ, despite the constant fear of terrorist threat. The Education Committee of the Assyrian Church of the East's Baghdad parishes has been instrumental in organizing a lecture titled “Law and the Church”, presented by Rev. Dr. Salem Saka. 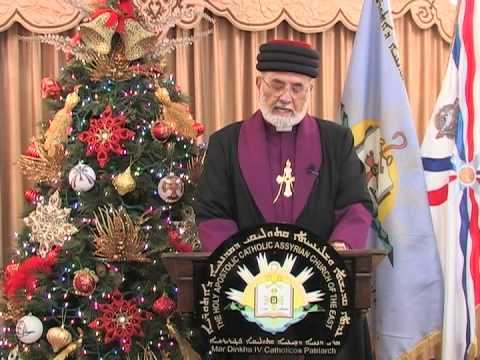 Leaders of various denominations and nationalists in Iraq have come together to celebrate the occasion of the birth of Christ and pray for a good start to the new year. 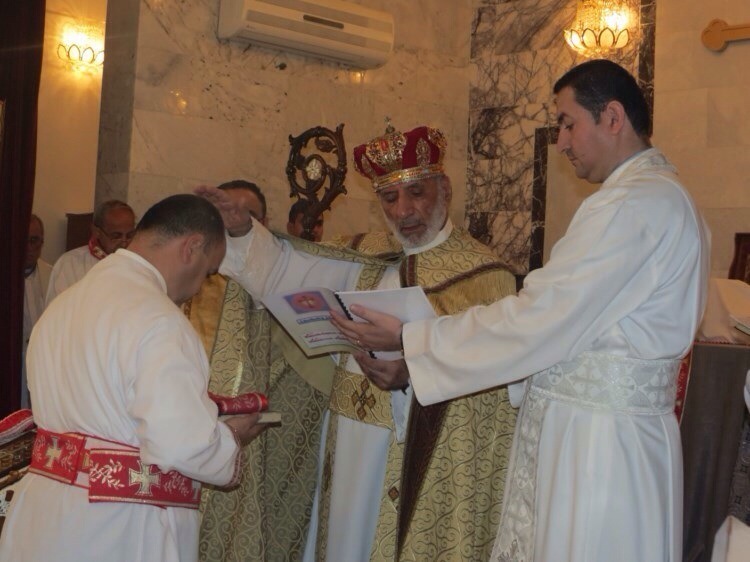 His Beatitude Mar Gewargis Sliwa, Metropolitan of Iraq, Iran and Russia has laid his hand on Martin Nabil Nicola and raised him to the ranking of Deacon in the Holy Apostolic Catholic Assyrian Church of the East. 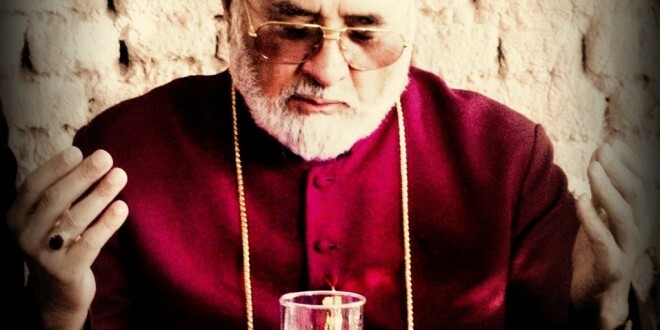 His Holiness Mar Dinkha IV writes a letter to His Beatitude Mar Ignatius Joseph III Younan, offering condolences for the sorrowful events of late.